The TIH Show and Go© is an initiative of TIHA. It was developed to support its members, breeders and producers of Traditional Irish Horses with a focus on the Performance Quality Hunter marketplace. Horses were selected by an expert panel to ensure a quality product with recorded pedigree (green passports). 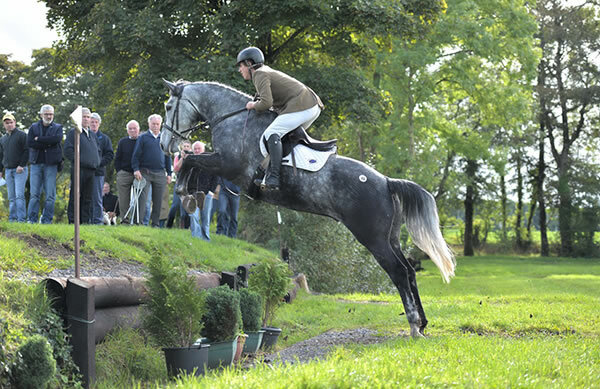 The show offered buyers assurances that they were buying a genuine well produced Traditional Irish Horse. The TIH Show and Go© was an outstanding success with international buyers purchasing Traditional Irish Horses. It was a format that was seller led and proved to be a great benefit for the producers to have such a targeted sale. We ask all our producers to get involved and be part of this initiative to grow it as an authentic buyer experience and seller experience. It is crucial for buy-in from our breeders and producers and they understand we must all invest in such initiatives to reap longer-term economic benefits. By each breeder and producer becoming actively involved and engaged in their own industry it will ensure that there is alternative sales channel to market and a strong future for the Traditional Irish Horse. What would you like to see for 2018 Show and Go? Would you like to get involved with the TIHA in developing a flagship day?